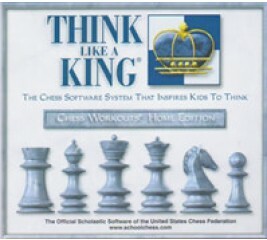 The Chess Club Manager Teaching Package is part of the Think Like A King system -- comprehensive software that lets schools or families use chess to help kids build the critical thinking skills they'll need for learning ... and for life. 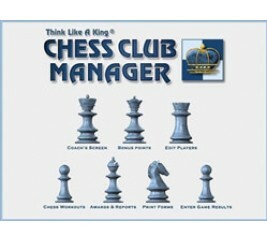 Chess Club Manager, part of the Think Like A King School Chess Software System, lets you create all the information a chess club needs, and use it to transform an activity into a varsity sport. This remarkably easy-to-use software enables you to fully motivate students with features like club ratings and standings, bonus points and statistics. Great value for families with several chess players at different levels or players who want to grow their chess knowledge. One CD contains a complete chess library that includes First Lessons and all six Chess Workouts.